Robert Michalak is singularly responsible for creating and growing our Employment and Benefits practice area after joining our firm more than 25 years ago. Precise, analytical and attentive to detail, he is well suited to the multidisciplinary demands involved in counseling employers about employee benefits and employment law. Bob helps employers develop, implement, administer and monitor retirement and employee benefit programs, enabling them to attract and retain qualified personnel at all levels within an organization. Bob’s expert representation includes supervising legal and professional staff to ensure effective programs as well as counseling estate planning clients on employee benefits issues. Development and preparation of claims that will receive favorable determinations regarding clients’ qualified status. Successfully negotiated to correct non-compliant activities of qualified plans through the Voluntary Compliance Resolution Program sponsored by the IRS on behalf of clients who did not comply with legal directives for technical or substantive amendment requirements. Obtained numerous favorable determination letters from the IRS on behalf of clients regarding the qualified status of their retirement plans. Successfully negotiated with DOL on its audit inquiry into the special valuation of a qualified retirement plan's investment. Successfully negotiated with DOL to settle a prohibited transaction undertaken by the trustee/owner of the sponsor. Successfully negotiated with PBGC to freeze an under-funded, union-negotiated defined benefit plan. Counseled litigation staff on strategies for minimizing exposure for retirement and welfare benefit programs upon closure of a union plant. Established procedures for responding to domestic relations litigation claims against retirement plan accounts of employees of foreign subsidiaries. Successfully syndicated numerous limited partnerships for restaurants, real estate developments, residential and commercial real estate operations and several companies engaged in developmental drilling for oil and gas and other commercial operations. Conducted estate and succession planning for owners of privately held businesses. 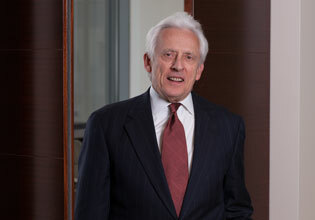 Successfully represented numerous individuals and businesses before the United States Tax Court and the Appellate Section of the IRS in a wide variety of tax disputes. Editor of and contributing author to Illinois State Bar Association Federal Tax Section Newsletter,Employee Benefits Section Newsletter and llinois CPA Society Federal Tax Section Newsletter. "Health Care Reform 2014-2018," Illinois State Bar Association, 2010. "Retirement Benefits: Making the Right Choices" and On The Job Health Benefits: Know Your Rights" Chicago Access Network (CAN-TV) presentation for the Illinois State Bar Association, 2009. Coordinator and moderator of ISBA LAW ED Series Program entitled "Planning Strategies for Receiving Distributions from Qualified Plans and IRAs and for Avoiding Potential Land Mines," 2004. J.D., Loyola University of Chicago School of Law, Chicago, Illinois, 1970. B.B.A., University of Notre Dame, Notre Dame, Indiana, 1967. Eponym, Robert A. Michalak Visionary Award, established in 2000 by the board of directors of the Center for Disability and Elder Law and periodically presented to an outstanding member of the community; Alderman Edward M. Burke is the most recent recipient. Center for Disability and Elder Law Founders Award, 2010. Registered Title Insurance Agent, 1990. Real Estate Brokerage License, 1978. Certified Public Accountant, Illinois, 1972. Illinois Army National Guard, 1970 to 1976; Company Training NCO, 1971 to 1976. Martindale-Hubbell, AV Preeminent "peer review rated for ethical standards and legal ability," since 1988. Center for Disability and Elder Law; founding board member, past president and past chairman of the board, 1982 to present; annual fundraising benefit, current chair. The Plaza Club, Board of Governors, chair, 1999 to 2000. St. Joan of Arc Men's Club, 1975 to present. Notre Dame Club of Chicago, 1967 to present.